This stately rosewood piano-finish mantle clock features chrome plated posts and silver aluminum accents. Perfect for honoring a milestone achievement or a retirement! 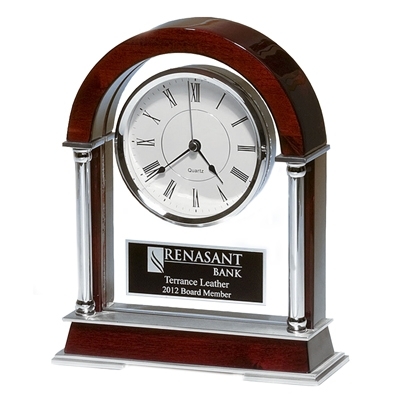 Your custom text and logo are engraved on a black and silver plate below the clock face. Batteries and gift box are included.